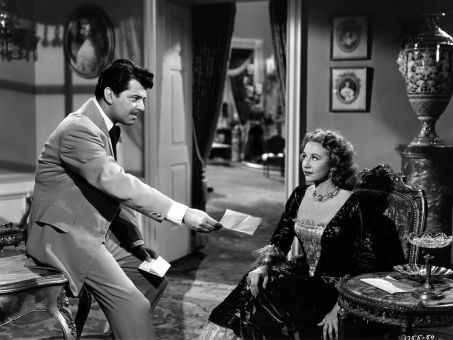 Allan Dwan's assured direction is the principal selling card of Republic's Belle le Grand. Based on a story by Peter B. Kyne, the film stars Vera Ralston as the title character, an ex-jailbird who becomes the gambling queen of old San Francisco. Upon meeting miner John Kilton (John Carroll), Belle increases her riches by selling shares of Kilton's silver lode. Despite Belle's anger over Kilton's dalliance with her younger sister Nan (Muriel Lawrence), she manages to save him from the evil machinations of all-purpose villain Montgomery Crane (Stephen Chase). Never much of an actress, Vera Ralston nonetheless delivers one of her better performances in Belle le Grand, though she is upstaged by such veteran barnstormers as Hope Emerson, John Qualen and Grant Withers.